Friday, April 22, 2016 by: Isabelle Z. (NaturalNews) A dramatic increase in the proportion of women being diagnosed with womb cancer over the last 20 years is being pinned on rising obesity rates. According to Cancer Research UK, obesity is a major factor in the increase in the number of women being diagnosed with womb cancer, which is also known as uterine or endometrial cancer. In 1993, the UK noted 4,800 new cases of this type of cancer per year, with an annual death toll of 1,500 women from the disease. In 2013, however, those figures had risen to 9,000 new cases and 2,000 deaths. When three-year rolling averages are examined, about 19 out of every 100,000 women developed the illness between 1993 and 1995. From 2011 to 2013, however, the figure had jumped to 29 women out of every 100,000. In January, Cancer Research UK warned that another 700,000 Brits could end up developing some type of cancer on account of being overweight. The director of Cancer Research UK and UCL Cancer Trials Centre, Jonathan Ledermann, said: "It is worrying that womb cancer cases are going up so sharply. We don't know all the reasons why. But we do know that about a third of cases are linked to being overweight so it is no surprise to see the increases in womb cancer cases echo rising obesity levels." Thankfully, however, survival rates have improved over the years. Six out of every 10 women diagnosed with the disease lived for at least ten years in the 1970s; today, almost eight out of every ten survive that long. It is believed that the extra fat that overweight people carry produces hormones and growth factors that can spur cell division, although further research is needed. In addition, age, genetics, hormone replacement therapy and a lack of exercise are also considered risk factors. In fact, obesity has been linked to ten different kinds of cancer, which makes it the most preventable cause of disease behind smoking. Cancer Research UK is continuing its efforts to help improve the outlook for patients with womb cancer as well as other types of cancers. A trial is underway to find out whether a new treatment gives women with aggressive womb cancer better outcomes than chemotherapy, for example. Of course, obesity is just as big of a problem here in the U.S., where the percentage of Americans who meet the definition of obese – possessing a body mass index (BMI) of 30 percent or higher – tripled in the years between 1960 and 2012, while cases of morbid obesity – a BMI of 40 percent or higher – increased sixfold. In fact, a report by the Trust for America's Health and the Robert Wood Johnson Foundation projects that half of all American adults will be obese by the year 2030 if changes are not made to people's lifestyles and habits. Obesity leads to a host of medical problems besides cancer – with diabetes, high blood pressure and heart problems just a few of the conditions on the list – and this leads to higher healthcare expenditures. What can be done to reduce womb cancer risk? What can people do to mitigate the risk of womb cancer? A study from the Vanderbilt University School of Medicine of more than 1,600 women showed that women who exercised or had active lifestyles had as much as a 45 percent reduced risk of getting this type of cancer. This means that although intentional exercise does a great job of reducing the risk, even doing lower-intensity lifestyle activities such as walking and doing household chores can slash the risk. While exercising can help a lot, a healthy diet also plays a big role in overall health. The Natural Cancer Prevention Summit can also help shed light on natural and preventive ways to help avoid cancer and carcinogens. 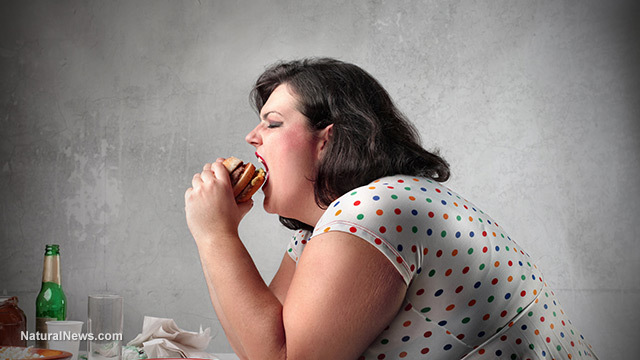 If you are overweight, it's time to make some big lifestyle changes. Your life depends on it!